The Town of Nipawin has long been one of Saskatchewan's secret outdoor lifestyle destinations. The Town is located on Highway 55 which connects the Manitoba Border to Meadow Lake and on Highway 35 to the US Border, both highways are paved. Nipawin is situated on the Canadian Pacific Railway. Nipawin is surrounded by agricultural development with easy access to the Forte a'la Corne Provincial Forest to the west and Northern Provincial Forest to the north. The immediate vicinity, particularly to the south and east, has a gentle topography. Saskatchewan Power has created two man-made lakes by the construction of the E.B. Campbell Dam in 1963 and the Francois Finlay Dam in 1986. 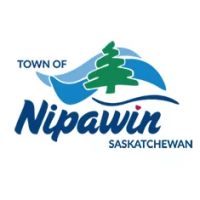 The Town of Nipawin is located between Tobin Lake and Codette Lake. To the north lies the parkland of Central Saskatchewan. There is no farming beyond this parkland, placing our town between fine farmland to the south and recreation and forest to the north.